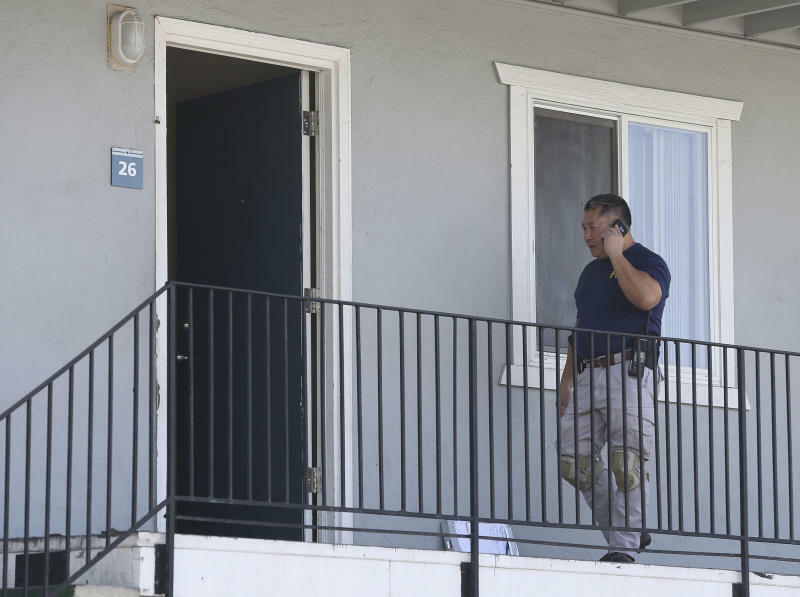 SACRAMENTO, Calif. (AP) — A refugee from Iraq was arrested Wednesday in Northern California on a warrant alleging that he killed an Iraqi policeman while fighting for the Islamic State organization. Omar Abdulsattar Ameen, 45, and other members of ISIS killed the officer after the town of Rawah, Iraq, fell to the Islamic State in June 2014, according to court documents. 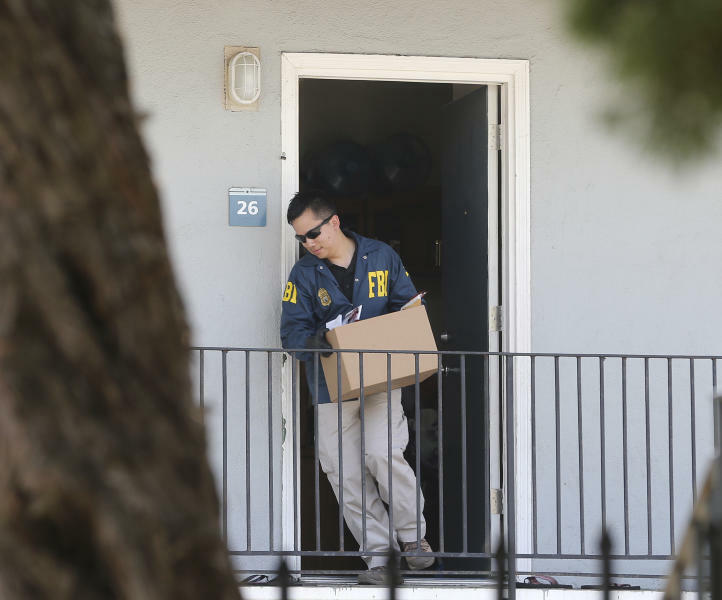 He was arrested by the FBI Joint Terrorism Task Force at a Sacramento apartment building based on a warrant issued in May by an Iraqi federal court in Baghdad. U.S. officials plan to extradite him back to Iraq under a treaty with that nation, and he made his first appearance in federal court in Sacramento on Wednesday. Ameen could face execution for the "organized killing by an armed group" according to Iraqi documents filed in U.S. federal court. Prosecutors say Ameen entered the U.S. under a refugee program, eventually settling in Sacramento, and attempted to gain legal status in the United States. He arrived in Turkey in 2012 and began applying to the U.S. for refugee status by claiming to be a victim of terrorism, according to a court document. He was granted refugee status in June 2014, but returned to Iraq to commit the slaying before traveling to the United States in November 2014, the document says. The Trump administration has sharply criticized the Obama-era settlement program, questioning whether enough was done to weed out those with terrorist ties. Officials said Ameen also kept secret his membership in two terrorist groups when he applied for a green card in the United States. State Department and Department of Homeland Security officials did not immediately respond to questions about Ameen. Benjamin Galloway, one of Ameen's public defenders, said he had just 10 minutes to meet with his client prior to his initial federal court appearance Wednesday afternoon and attorneys hadn't decided whether to contest that Ameen is in fact the man wanted by Iraqi authorities. Ameen was identified by a witness to the slaying who viewed a series of photographs of ISIS members, according to the Iraqi documents. The FBI's Joint Terrorism Task Force has been investigating Ameen for filing fraudulent travel or immigration documents since 2016, according to a court filing. It says the FBI independently corroborated Ameen's involvement with the terrorist organizations and participation in the slaying. Ameen remained dressed in street clothing including a light blue T-shirt as he appeared in court handcuffed to a chain around his waist. U.S. Magistrate Judge Edmund Brennan ordered him detained until his next court appearance set for Monday, accepting prosecutors' argument that Ameen is dangerous and a flight risk. Prosecutors said in court filings that the release of an alleged member of a designated foreign terrorist organization would be a national security risk. The Iraqi arrest warrant and extradition request say that Ameen entered his hometown of Rawah in the Anbar province of Iraq with a four-vehicle ISIS caravan and drove to the home of Ihsan Abdulhafiz Jasim, who had served with the Rawah Police Department. He and at least five other named suspects opened fire and the man shot back, but the documents allege that Ameen fatally shot the man in the chest as he lay on the ground. The militants later claimed responsibility for the slaying on social media. 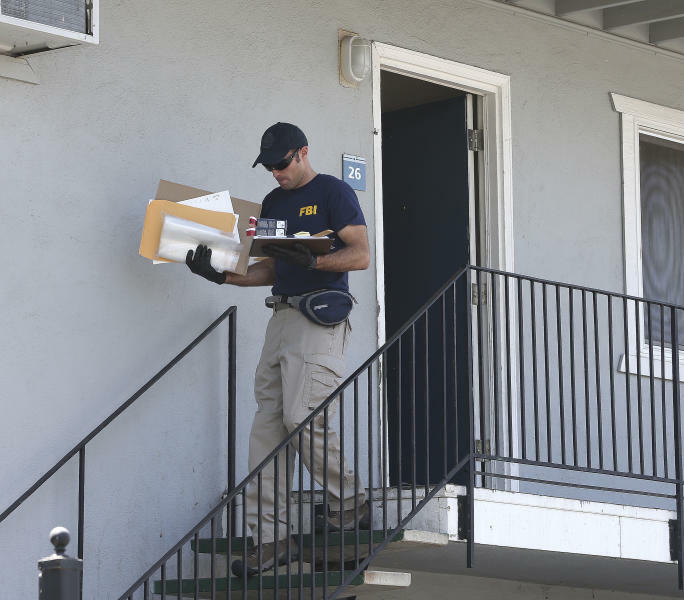 The FBI has interviewed at least eight witnesses who identify the Ameen family — including Ameen himself, his father, brothers, and paternal cousins — as affiliated with al Qaeda and ISIS, prosecutors said. Court documents say Ameen's family also aided al Qaeda in Rawah and that Ameen was a member of both al Qaida in Iraq and ISIS. The documents allege that he did a number of things in support of the groups, including helping plant improvised bombs, transporting militants, soliciting funds and robbing supply trucks and kidnapping drivers on behalf of al Qaida. The FBI quotes one witness as saying Ameen's vehicle in 2005 was a Kia Sportage flying a black al Qaida flag with a cut-out roof and a machine gun mounted on the rear. Associated Press journalist Sophia Bollag contributed to this story.